Simply put, inbound marketing refers to the process of creating quality digital content – such as ebooks, white papers, reports, blog posts, newsletters, social media material, infographics, videos, microsites, and so on -- in an effort to attract target audiences towards an organization's website. This content is typically available for instant download from a website, or in some cases may be distributed via email. This is a markedly different approach to conventional marketing, in which an organization pushes messages out to target audiences (e.g. TV, radio, newspaper, etc.). For this reason, inbound marketing is often referred to as “attraction marketing”, while outbound marketing is referred to as “interrupt marketing”. Before moving forward, it is prudent to note that while there are proponents of both inbound and outbound marketing, and there are consultants and agencies that specialize in one or the other, they are not mutually exclusive concepts. Many organizations successfully use a mix both inbound and outbound marketing strategies and tactics. With this being said, however, there is a shift towards inbound marketing in all sectors, and especially in the nonprofit sector. Below, we highlight the 7 key reasons why. 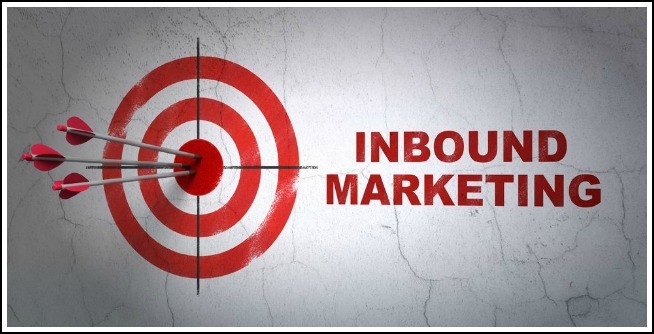 Inbound marketing is measurably, and in some cases dramatically less costly then outbound marketing. This is because once assets are created (e.g. ebooks, blog posts, etc. ), they can be automatically distributed to various target audiences at no additional cost. What’s more, an increasing number of current and prospective donors – especially Millennials – spend more time and are influenced by what they see on their computer, laptop, tablet or smartphone, than what they see on TV, hear on the radio, or read in the newspaper. Inbound marketing enables nonprofits to stay on their supporters’ and donors’ “radar screens”, yet in a way that is not perceived as pushy, aggressive or disagreeable. This is because inbound marketing content is fundamentally educational in nature (though not boring or painful! ), and as such, is welcomed by target markets rather than avoided. Inbound marketing also helps nonprofits interact and collect rich data about their community, in order to learn more about their opinions, preferences, expectations, and so on. This valuable information can be leveraged to optimize current and future marketing and fundraising campaigns. It also helps nonprofits further segment their community into “personas”, so that the right messages/topics go to the right groups of donors. Just as in the private sector, nonprofits need to align their internal communications in order to ensure that marketing, fundraising, and executive teams understand their roles and are working together. Inbound marketing supports this critical objective by enabling nonprofits to map the “donor journey” (similar to the “customer journey”), and see where and how they can most effectively usher a prospective donor into a qualified donor, and ultimately into an official donor. Inbound marketing is not a one-time event – which is essential in the nonprofit space, because many eventual donors do not make a contribution after the first engagement or interaction. Rather, inbound marketing delivers relevant, meaningful and information-driven content over a period of time, which can cultivate a relationship and lead to a donation down the road. Inbound marketing allows nonprofits to generate valuable data and intelligence on their community, which they can integrate with a predictive analytics solution to identify donors who are willing to give more – not just by capacity to donate (wealth), but by willingness to donate (engagement). This ultimately provides nonprofits with an "exact ask amount", which studies have shown is much more likely to result in a donation vs. open-ended or tier-based requests (i.e. $25-$50-$75-$100). Naturally, the end game for any marketing investment – inbound or otherwise – is revenues. By creating quality content and distributing it through various channels (blog, landing pages, microsites, etc. ), nonprofits can generate much more web traffic and engagement, and harvest that activity into greater revenues.